The joker is an archetypal symbol in Western culture that dates back several centuries. Many people get tattoos of this design with an emphasis on the face, the most noticeable part of the design. The joker symbol is centuries old and has maintained much the same meaning over this time period, with some variations, any of which can be adapted into a tattoo. The joker has its roots in the "Fool" card of the Tarot. In the Tarot, the Fool is a trump card that beats any other trump card, but cannot win the game. 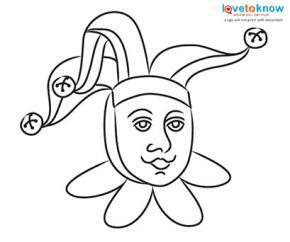 While the Fool is more generic, the joker is more specific -- it is modeled after a medieval court jester. The card first entered the modern 52-card deck in the 1930s, with the court jester or clown design becoming popular in the 1930s. The joker has the symbolism of the Fool of the Tarot, a clown and a court jester, but also the "wild card" or an unpredictable element. 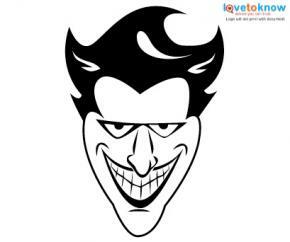 The last is perhaps the symbolism that those who wish to get a tattoo of the joker try and evoke. The Joker is perhaps the most famous antagonist of DC Comics superhero Batman. He is a violent criminal who has little in the way of motivation other than a desire to wreak havoc and kill Batman. This is in keeping with the "wild card" aspect of the joker card. The character the Joker is also prone to using "comical" violence or weapons inspired by circus clowns. The image of the joker is also used frequently by the second-wave UK punk band The Adicts. The singer of this band mixes the look of a harlequin-type clown with the dress of the film A Clockwork Orange. Many people who get joker-face tattoos are fans of this band and its imagery. There are a number of tattoo designs you can get, if you decide to get a joker-face tattoo. Many people are intimidated by clowns. 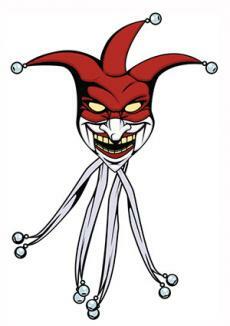 It is easy to modify a joker design so it more closely resembles an evil or "wicked" clown. This design evokes mayhem, madness and fear. If you want a more classic design, simply take the design of a joker off of a playing card, remove the body and use the face. For the gambler, gamer and those who like traditional tattoo art, this is the most likely design. Those who are more attracted to the "evil" aspects of the Joker - to say nothing of comic book fans - will probably have an affinity for the character the Joker. The face of the Joker is one of the most recognizable images from the world of comic books. Whether you choose to get a tattoo of the comic book character or Cesar Romero, Jack Nicholson or Heath Ledger's iconic performances, you will certainly have a tattoo that attracts attention. Fans of punk band The Adicts might wish to get a tattoo of a joker with other cards, evoking the title of the song "Joker in the Pack," one of the most famous songs by this band. The joker-like face of the singer Monkey on the joker card will make this more in line with the band than with other aspects of joker symbolism. Jokers do not have to be menacing. If you are a person who likes the imagery of a wild card but isn't into the "wicked clown" aspect of it, get a joker's face that is more cartoonish. This evokes a more fun-loving imagery than something malevolent or evil. Remember that a joker or prankster can be mischievous without being malevolent. A more cartoonish face will evoke this aspect of the design. 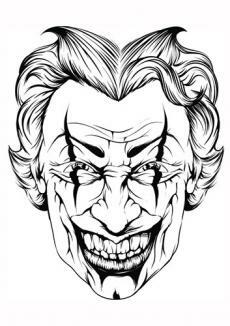 Once you have decided on what type of joker tattoo you want, draw it up yourself, if you have artistic talents. If you do not, describe what you want to a tattoo artist and she will be able to draw something for your approval. The artist might also have suggestions about how to give your tattoo a more original flavor. Soon you will be showing off your "wild card" to your friends.